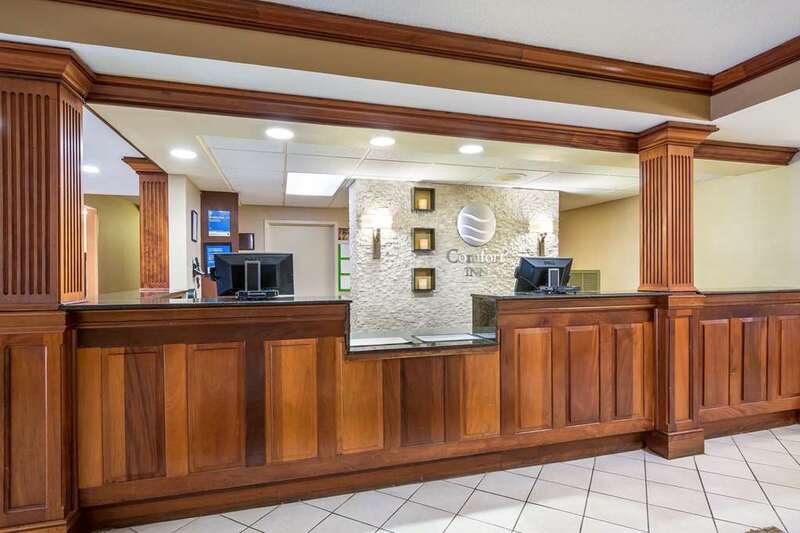 Get everything you need to be at your best when you stay at our Comfort Inn hotel in Newport News, VA. Our hotel is close to several local attractions near the Peninsula Fine Arts Center, Christopher Newport University, Fort Eustis Army Base, Langley Air Force Base and Naval Weapons Station Yorktown. Each guest can enjoy our hotels free breakfast, free WiFi, seasonal outdoor pool, fitness center, newsstand and laundry facility. Unwind in one of our guest rooms, all of which feature a a refrigerator, microwave, flat-screen HDTV and a coffee maker. Earn extra rewards today by signing up for our Choice Privileges program.